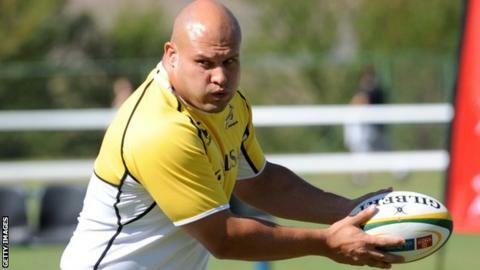 London Irish have signed former South Africa prop CJ Van der Linde until May. The 33-year-old, a 2007 Rugby World Cup-winner, has been a free agent since leaving the Johannesburg-based Lions when his deal with the Super 15 outfit expired at the end of the 2013 season. "CJ replaces Halani. He's a world class scrummager and brings much experience and composure," said boss Brian Smith. "He has won 75 caps for South Africa and I know our other front-row forwards Glenn Delaney and Phil Keith-Roach are excited to work with him."